Our research centres on the physical and physiological interface between humans and textiles, and the complex issues that arise when textiles are worn against the human body. We seek to advance understanding of how textiles perform when being worn and used by people. As a human ecologist, our research is not restricted to the laboratory. 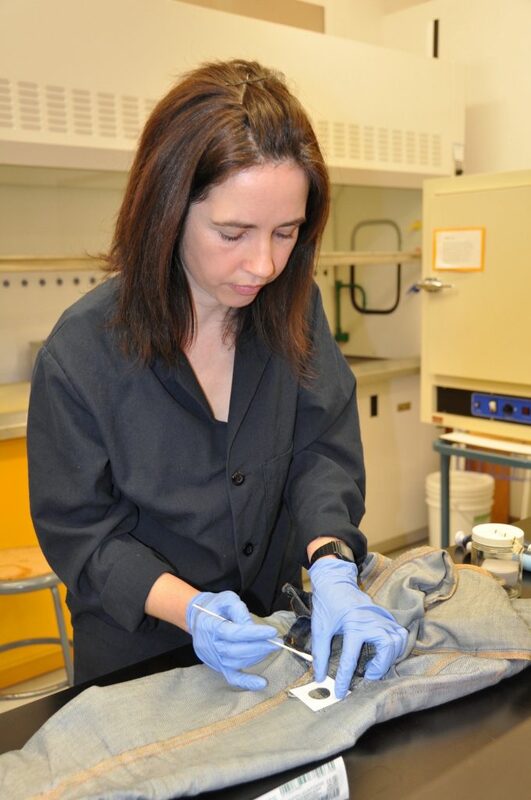 It often involves carrying out wear trials in field conditions in order to examine the interactions between human subjects and their clothing in real life conditions. Our current and future research is focused on three main areas related to textiles: (i) odour within textiles; (ii) performance of textiles relating to thermophysiological aspects of clothing comfort and protection; and (iii) sustainability of textiles. Nicole Furtak, is presenting her PhD research at the AUTEX International Conference in Corfu, Greece (29-31 May). Nice! Welcome back to Lauren Degenstein who is working as a research assistant for the second summer. She's working on clothing disposal decisions and options for unwanted clothing. Former MSc student Sushmitha Devarajan has had her first paper accepted. Can common finishing treatments used in chef jacket fabrics improve protection against scald injury? In Fashion and Textiles. Congratulations! Welcome new MSc student, Sara Vaezafshar. She'll be working on sorption of volatile organic compounds on textiles fabrics.